In August this year An Taibhdhearc will celebrate its 90th birthday. There are also changes afoot at the venue at board level and a re-casting of staff structures. Last week Aodh Ó Coileáin was elected chair of An Taibhdhearc and, following his accession, sat down with me to outline his vision for the Irish language theatre. 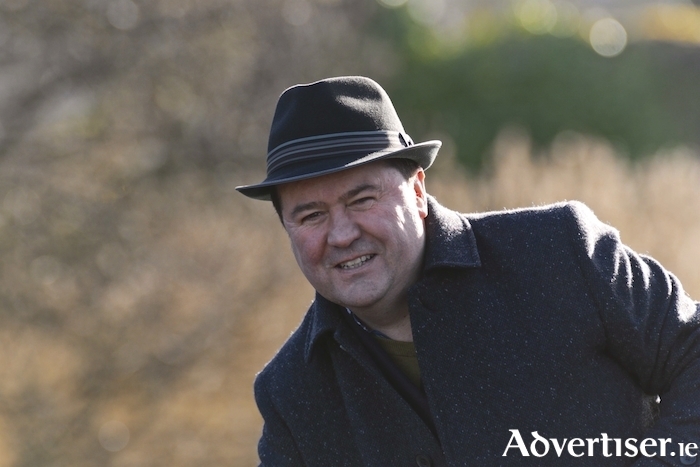 Originally from Dingle, Ó Coileáin is a broadcaster, film-maker, and lecturer who has also served as head of news at Radio na Gaeltachta and was co-founder of Irish language theatre company Na Fánaithe. His involvement in theatre began in childhood. In 1987, Ó’Coileáin and (the now Independent senator ) Trevor O’Clochartaigh founded Na Fánaithe and over the next six years, the company staged many fine plays and toured the country extensively. Na Fánaithe seemed to stand for a more progressive vision of Irish language theatre than An Taibhdhearc then did, and Ó’Coileáin candidly admits that for a long time he was a critic of the theatre. Ó Coileáin’s electionas chair is part of a changing of the guard at the theatre as several older board members have stepped down and new faces are being sought to replace them. “We’re looking to get younger people onto the board," he says. "Our doors are open and I think there should be a process along the lines suggested by Gaye Cunningham’s recent report on the Gate, which said board appointments should be open, transparent, and advertised, for a fixed term five years, draw on different professional skill sets, and there should be a code of conduct for directors. Ó Coileáin outlines some of his hopes for An Taibhdhearc as it prepares to turn 90: “I see the Taibhdhearc with a role in enriching the lives of people through engaging in the cultural life of the nation and, in our case, the life of Galway and Connemara through Irish. We want to create opportunities for increased participation; I’d like to see us reinstate a youth company which could be a feeder system for the main stage. We want to encourage ambition, risk, innovation, excellence, and I think we will achieve that with our show for this year’s Galway International Arts Festival, Baoite by Darach Mac Con Iomaire. It’s full of action and intrigue and deals with topical issues like the decline of the fishery in the west of Ireland, oil exploration, IVF, and family stresses. It is dark and ambitious and I think it will make an impact.